You’ve captured the city perfectly! I loved Frenchman Street in particular. And the French quarter has such a nice vibe to it. 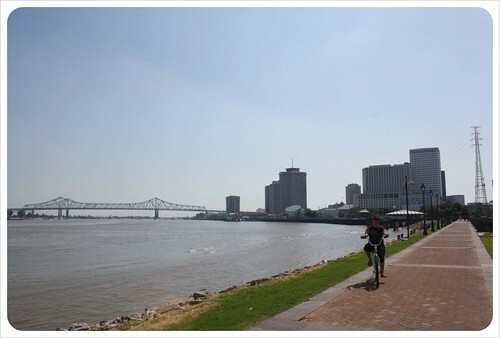 I’ve wanted to visit New Orleans for several years, but I’ve never gone. I’m hoping to take a trip there this year. Thanks for this great information about New Orleans. 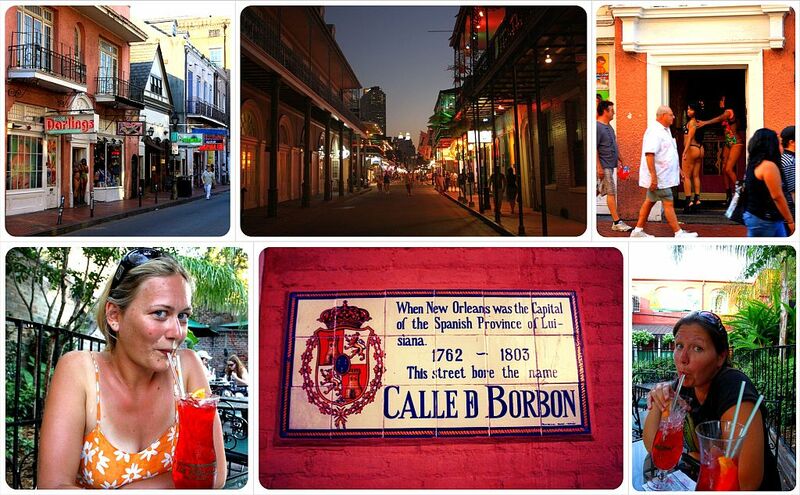 I plan on checking out Bourbon Street, but to be honest it was never going to be a big part of my trip to New Orleans. A bright, cheerful and useful article, girls. I was in New Orleans decades ago, when I was 11 years old (first ever trip abroad). Still remember the French Quarter as a magical place. Thanks so much, Sophie! 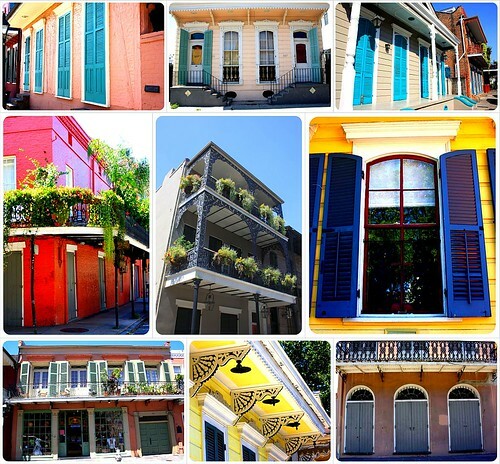 What a great destination for the first trip abroad 🙂 The French Quarter really is a magical place – there’s just no other place like it in the U.S.! You know, it is only like 8 hours from us and somehow we have never been. UGGG. Looks amazing. Amazing! I got to spend a few nights in new Orleans when I was there for a conference a few years ago and loved just wandernig around in the French quarter. I also really enjoyed the streetcar ride I took past the university. Unfortunately I didn’t have time for one of the cemeteries as people warned us to go by ourselves because of muggings and I didn’t have time to schedule an organized tour. 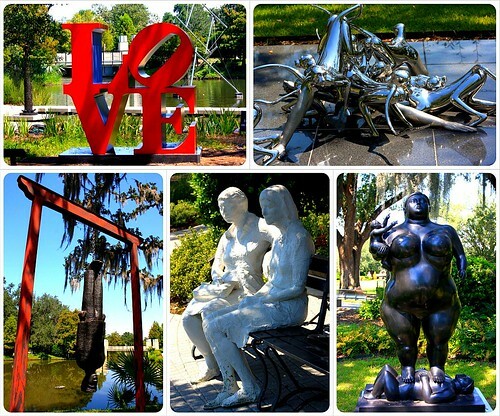 The sculpture park looks amazing. I think I gotta go back for another visit 🙂 And you just reminded be about the delicious beignets at Cafe Du Monde as well. They were so good! The beignets really were good, although there is somewhat of a rivalry between Cafe du Monde and another place in the French Quarter. Too bad about the cemeteries – we didn’t do an organized tour, though, and had no problems at all. I would really recommend at least stopping in – and you’re a seasoned traveler, so you know how to watch yourself 🙂 Oh, and we love love love the streetcars too!! Wow you covered everything I love about New Orleans. I studied in the US for a year in AR and crossed over to Texas at least two times but I never got to New Orleans even though I really, really, really, really wanted to! Only means I have to go back. And now I have a great guide to use. Yehey! Hi Yols – you have definitely have to go back. Get in touch before you do and we can help out with a few more ideas! Thanks for reading! Love how you’ve captured how artsy and creative NOLA is!! I love it there but need to get back. Great photos. Aw, thanks Abby. 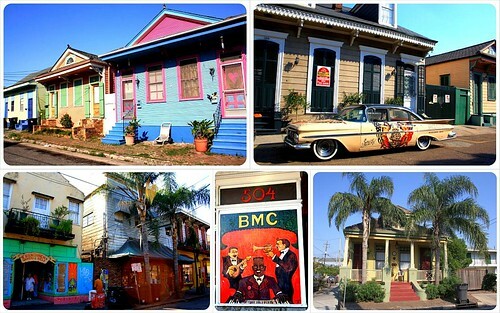 New Orleans speaks for itself though, hard not to showcase such an incredible creative place. Definitely visit if/when you can. Every dollar helps down there still! 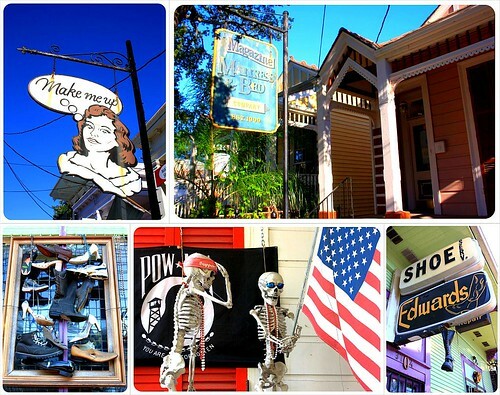 New Orleans knocked me off my feet – it was just such a fabulous city, even in the muggy heat of August. We also got a local tip to head to Frenchman Street and it was so worth it. Reading this makes me want to do it all again! Hi Lauren, thanks for stopping by! We were there in equally muggy hot weather, but could have cared less. There was so much exploring to do, we never stopped. But I think maybe May or early June would be perfect in town, not sure. Now, it’s okay if we discuss Frenchman St, since we’ve both been, but let’s not go giving away this information to too many people so it stays the way it is…oh, but I published word of it already. 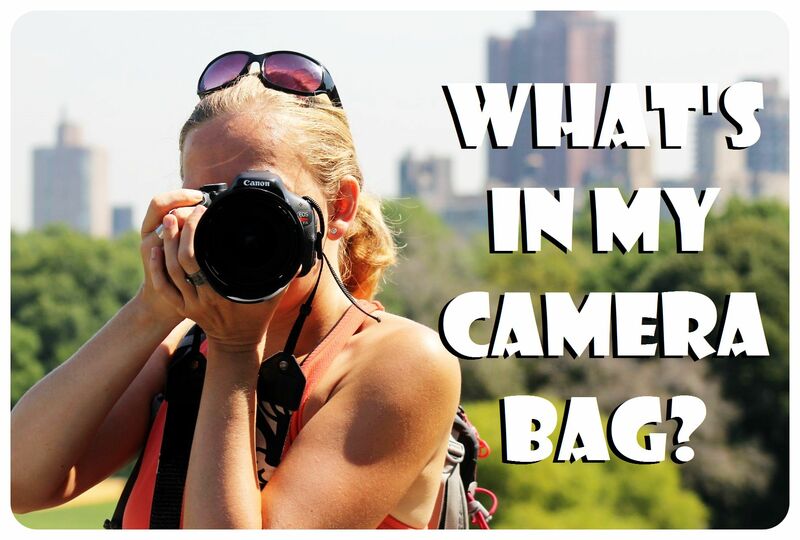 Damn travel-writing conundrum! 🙂 Love your site, by the way! This is probably the city I’d most like to visit in the US. My interest level is even higher after reading this article. Ah, you should. For shots of smiles, New Orleans is the place. And for pictures of an endless stream of unique characters, New Orleans is the place. As Dani said, it is a photographer’s dream! We thought Bourbon Street was so bizarre! All the beads and hurricanes larger than my head and the obnoxious frat douchebros… we only lasted a few hours, lol. We were expecting to find some great dance clubs there, but the sad part is that Bourbon Street isn’t really a great place to boogie (ohmygod, did I just write “boogie”?). ANYWAY, aside from that little tidbit, we loved New Orleans! OH you really need to go then if you like fried pastries. Because then it would be your duty to test the Beignets at various locations, a taste test of sorts. 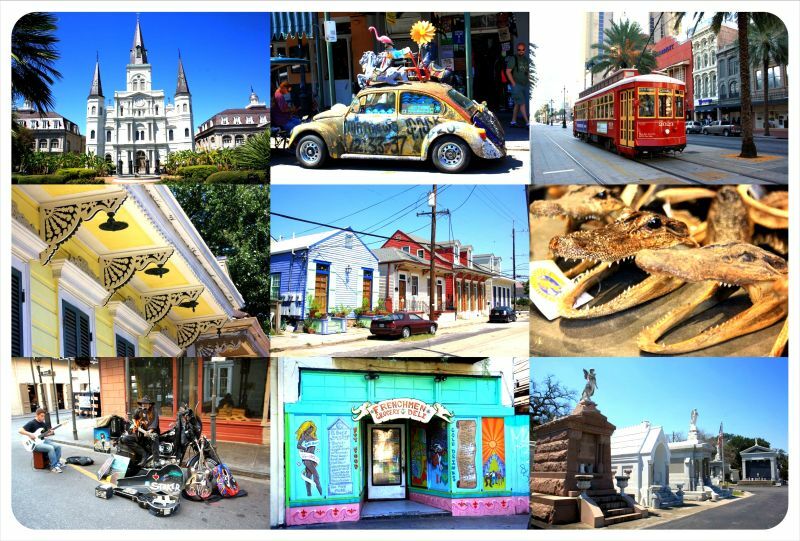 :-)Plus, New Orleans really is such a great place to visit, there is nowhere in the United States (or the world!) like it! Your photos are amazing! 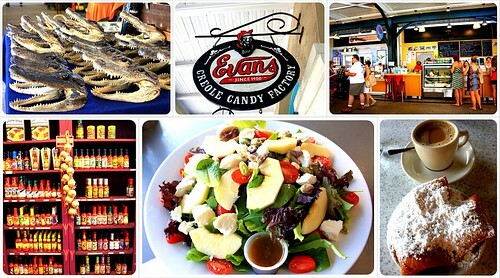 I have always wanted to go to New Orleans, and these are some ideas I plan to try out when I get there. I never thought New Orleans can be beautiful not only in the night but during the day. You have captures New Orleans in a different way for others not interested in drinking and partying to visit New Orleans. Yes, you should definitely go! I know I am repeating myself, but there’s just no place like this in the U.S. – Already looking forward to going back to NOLA. I will surely make the trip. I love New Orleans and am actually getting ready to do a series of posts all about it. My parents live in Fauborg Marigny so I have spent a great deal of time there, and you do a great job capturing its essence. Great insights on how to avoid the drunken mess of Bourbon Street and absorb the unique history and culture of New Orleans. This article is fantastic. 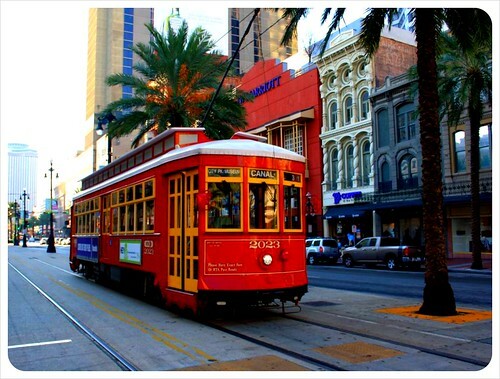 I’m moving to New Orleans in June because I went “beyond bourbon street” on my first and only trip a few months ago and fell madly in love with the city and the incredibly friendly people. It’s a truly magical place unlike anywhere I’ve been in the world. On a side note: I’ve been planning a trip to Central America (volunteering in BZE for a month then Guatemala, El Salvador and Nicaragua…I think) April to June and stumbling upon this blog has been absolutely priceless. Thank you for all the work you’ve put into making such an excellent resource for travelers like myself! Thanks so much, Zina! We loved New Orleans and wanted to stay so much longer – I hope we’ll be back one day for a longer stint – a couple of months or so 🙂 You are so lucky to be moving there!! Well if you do, we’ll have to grab a drink or two!